Chik Bik Ji Jin: Saam Gwok Ji is an action beat ‘em up game for the Nintendo Entertainment System. 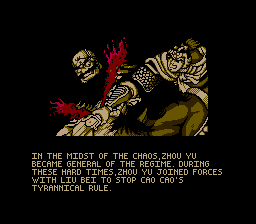 This is the complete translation for the Chinese game Chik Bik Ji Jin - Saam Gwok Ji for NES. 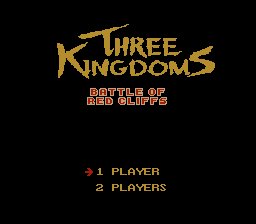 The game title translates to “Three Kingdoms - Battle of Red Cliffs”. 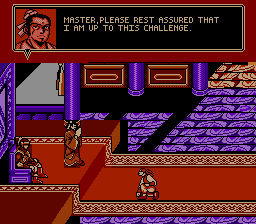 It is the NES version of the Arcade game “Warriors of Fate”. The game is based off of the famous Chinese history based novel “Romance of the Three Kingdoms”. 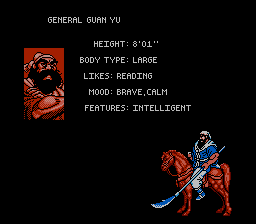 You can play as one of three generals whose mission is to stop the evil Cao Cao and his army. You can also play co-op with a friend as well! UPDATE 11-22-2018 The translation has been updated to clean up the text, and fix the spacing in the words on the screen.